Get up close to the wildlife of Chiloè Island on this full-day tour from Puerto Varas, including hotel pick-up and round-trip transport by ferry from Pargua. Spot black-necked swans, flamingos and cormorants at the Caulín Spa bird sanctuary in Ancud; tuck into fresh oysters (own expense); and view Magellanic and Humboldt penguins on a cruise around the coast. 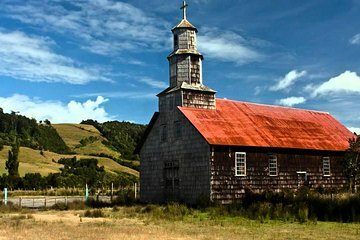 That’s not all: see some of the island’s UNESCO-listed churches and visit the museums and crafts markets of Ancud.